Green House Seed Company made the right choice to cross two classics together: Haze and White Widow. 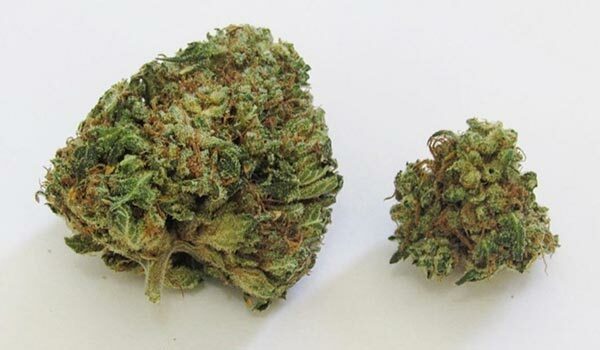 It created a strain with effects which perfectly balance a cerebral head high with a tranquilizing body buzz. The former influencing its Sativa buzz and the latter provides it with milky white trichomes. There are also its crystal resin-laden buds that are reminiscent of the snowy mountains of Alaska, an influence that can only come from having both as parent strains. Its blanket of resin warns users of what is to come. Testing up to 22%, it can be an overwhelmingly intense experience that heightens sensations when used beyond individual tolerance. Alaskan Ice’s effects on the mind have it traveling to a new dimension before slowing down to a mellow relaxation. Although not recommended for people with low tolerance to THC, beginners may still enjoy the strain with the help of a seasoned friend. Like entering a rainforest for the first time, Alaskan Ice welcomes the senses with an enticing combination of spicy pepper, citrus, and sweet scents. Not soon after, it harmonizes the taste of mint, herb, and sandalwoods especially when drawing in its smoke. Sativa-dominant Alaskan Ice delivers a refreshing high that boosts moods and vitality through its reinvigorating psychedelic effects. It starts in the brain and, as though freezing away unwanted pessimism, temporarily puts users in a cheery mood. Its onset comes quick and strong too, prompting creativity and random giggling fits. Although temporary, the upbeat disposition can last for hours. This is enough when one needs a break from any accumulated stress. After all, feeling inspired by an innate sense of happiness is enough to want to go through the day and seize opportunity when it comes. Understandably, some users begin to feel hungry. Although subtle, the mental stimulation does induce a ravenous appetite. Having snacks around will save time from going on a trip to the kitchen but, with energy coursing through the veins, one may also feel motivated to prepare a sandwich or other snacks. An energizing sensation trickles down from the temples down to the toes. It relaxes the body while keeping it mobile and agile like a well-oiled machine. With its high THC level, Alaskan Ice’s potency instigates a possible couchlock. However, using it in moderation will result in a mental alertness as a great daytime strain. Thus, the perfect time to take it is during the mornings in lieu of coffee. Although, depending on the purpose, one may also take it at night. Cannabinoids present in weed inhibit saliva production and decreases water retention, even in a strain as cool as Alaskan Ice. Thus, a cottonmouth and dry eyes are always present. While these two are common symptoms of cannabis use, headaches are not. Excessive use also amplifies some effects that result in dizziness and even paranoia. Alaskan Ice does not limit itself to recreational use. It serves a pharmacological purpose in its ability to relieve various health issues. For example, its happy high replaces depressing thoughts with an optimistic hope that raises morale albeit temporarily. It momentarily induces the giggles which, of course, relieves stress. 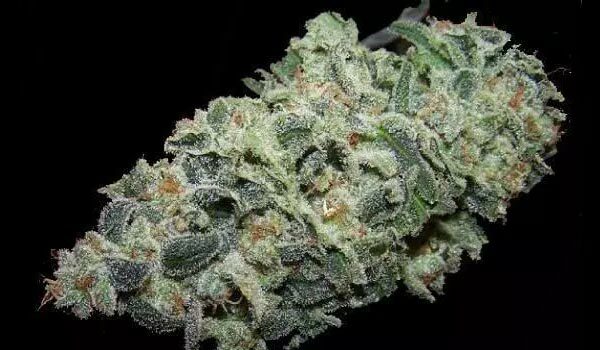 It also has analgesic properties that, together with its Indica buzz, appease various aches and pains while delivering a surge of energy throughout the body. Ironically, it can also alleviate headaches as much as it can trigger it. Feeling totally relieved, the fatigue of the day melts away as Alaskan Ice pulls all the tiredness out of users as hunger pangs result into munchies that address a poor appetite. Versatility is not an issue when it comes to cultivating Alaskan Ice. It adapts well to indoors, outdoors, and greenhouse environments. Moreover, it yields high in spite of untoward conditions. It grows a lot of branches and stretches high as a nod of to its Sativa-dominant genes. Because of its height, Alaskan Ice works best with the LST (Low-Stress Training) technique called Screen of Green (SCROG). It entails weaving the branches that grow beyond the screen into it. Topping the plant will also keep it short and encourage more budding sites to grow. However, pruning will improve light and circulation in the lower nodes. At the same time, nutrients also reach healthier colas faster. Indoors, a single Alaskan Ice can yield from 600 to 800 grams per square meter when fed with the proper nutrients suited to the different growing stages. It has a short flowering period too, lasting between 9 to 10 weeks rather than the usual 10 to 12 weeks. Cultivated outdoors, best to allow a big space since a single cannabis plant can grow massively up to nine feet. Growers may improve trichome production through methods like super cropping. This is a great opportunity to extract oil for hash creation. Once ready for harvest, it yields between 800 to 1000 grams of buds with a delicious terpene profile. Have you grown or used the Alaskan Ice? If not, would you like to get your hands on this strain? Please leave a comment to let us know what you think. We want to hear from you.